CAUTION: Overclocking can damage your graphics card (not covered by your warranty) so use the information of this post at your own risk. 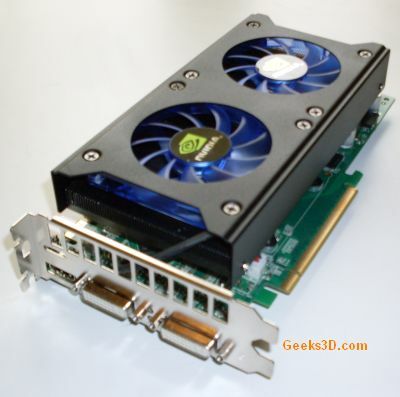 Today, a small hardware tutorial: how to overclock a GeForce GTS 250 (1Gb GDDR3). 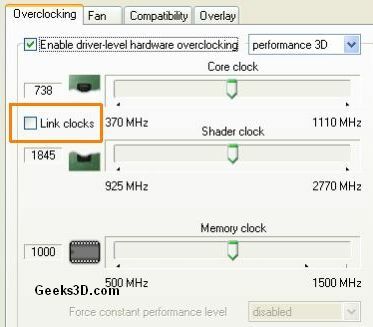 Why I need to overclock my graphics card? Overclocking your graphics card will allow you to get the most out of your card for free! You can expect a gain up to 10%! This cooler is really efficient and is very quiet! 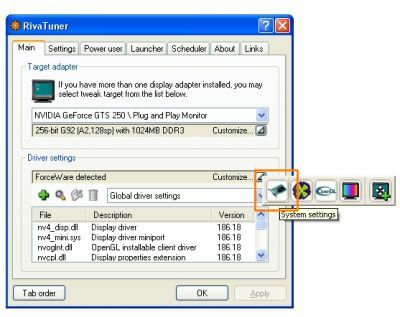 RivaTuner: RivaTuner will allow you to changes graphics card clocks. 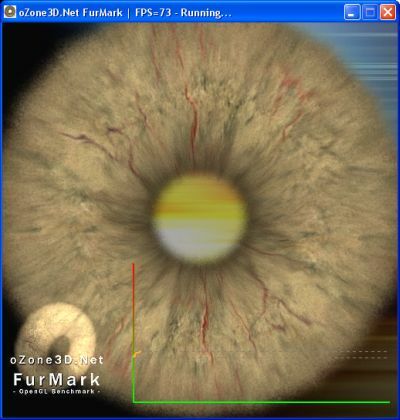 FurMark: will allow you to burn the graphics card to check stability. 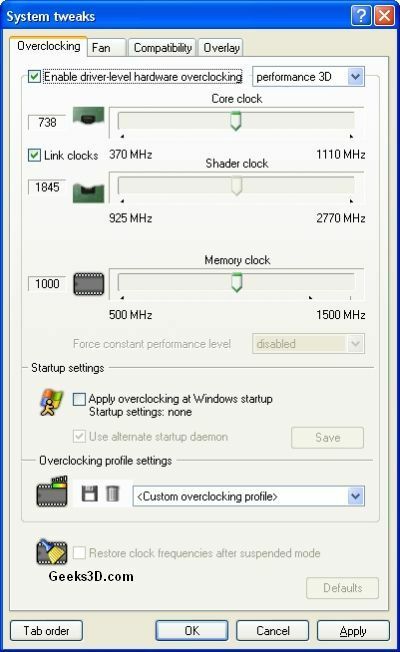 3/ do overclocking: increase one clock (GPU, shader or memory) by 5 or 10MHz while keeping the two others to their default values. Repeat this step until you see artifacts or notice a FurMark freeze. At this moment drop speed by 5MHz until you don’t see artifacts anymore. 4/ Once you have found the max clocks, set them all to their max values. I bet you will see artifacts on FurMark because all values to the max will produce more heat. At this point, drop the clocks until you don’t see artifacts anymore. Let’s see each step in detail. Press I key to hide text on the 3D window (that will speed up a tad the rendering). Uncheck the Link clocks checkbox. Now, we’re ready to find each max clock. Increase GPU clock until you see something strange (artifacts or freeze). In case of artifacts, drop the clock by 5Mhz until they disappear. After each increase, wait a little bit (30sec) before increasing the clock again. With this GeForce GTS 250, exceeding max GPU clock causes a FurMark freeze (but on other cards, too high GPU clock may cause small dots). In this situation, the only solution is to click on Default button to restore default clocks. 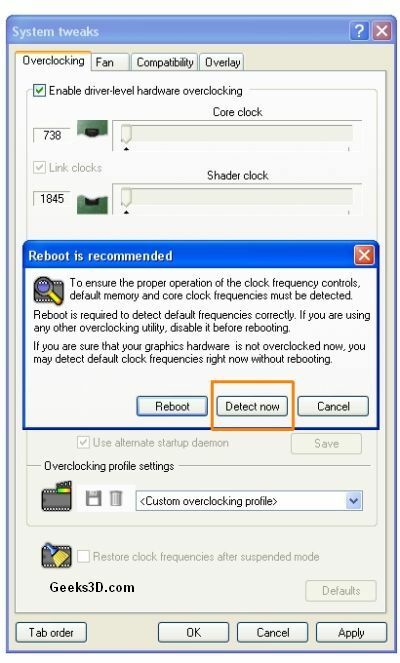 If you can’t do this, reboot your PC. 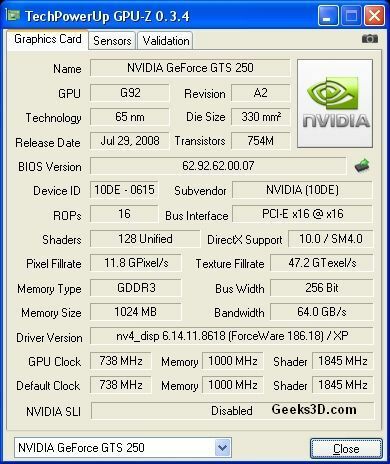 The max stable GPU clock I found is: 837MHz. About 100MHz in more! The max stable Memory clock I found is: 1083MHz. Now the final tuning. Set all clocks to their max stable values. You will certainly see artifacts with these settings because set all clocks to the max will produce more heat. But now, depending on the artifacts you see, you can drop the right clock. After each modification, wait at least for two or three minutes to be sure your graphics card is stable. As you can see, final clocks are different from previous max clocks found separately. The gain of this overclocking is around 7.5%. 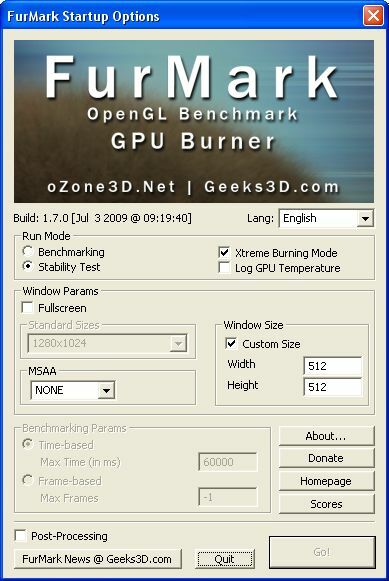 You can also run other benchmarks like 3DMark or your favorite video game to see overclocking gain or just to be sure that these new clocks are OK.
As you can see in this screenshot, the GPU temperature didn’t exceed 75°C with overclocked clocks. We can thank the Musashi VGA cooler that was able to keep GPU temperature relatively low. this tutorial is very complete GOOD! 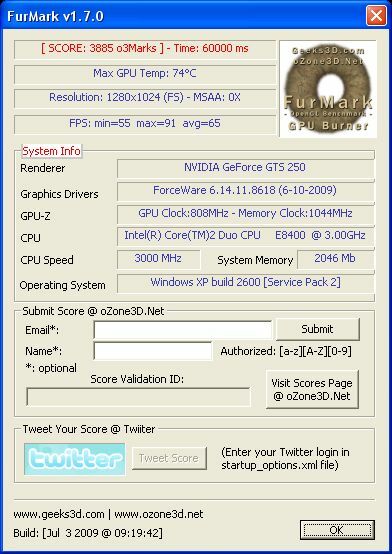 The Twintech VGA (The tested vga) is standard GPU 750 SHADER 184 VRAM 1125! 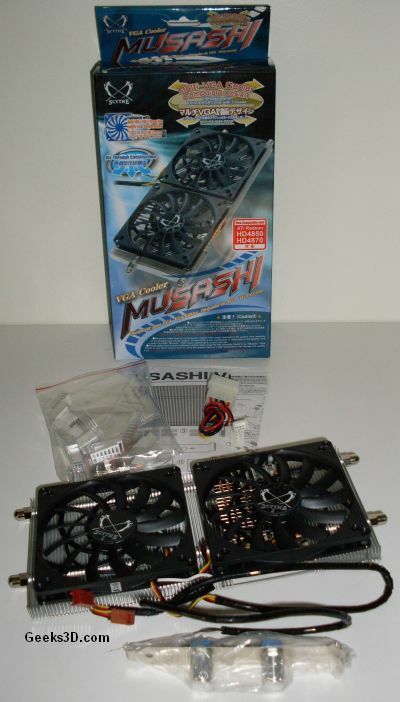 And Musashi isn’t better than stock Cooler!The normal cooler is an accelero with NVIDIA name! Furmark is useless for testing overclocks. You must set a unsanely high overclock to begin to see the first artefacts. 3Dmark is far more reliable. im just wondering if anyone has an idea why im getting low overclocks on my msi gts 250. It is an underclocked version and i am only able to get the core to the stock 738 and the shader to 1836. the odd thing is that im able to get my memory clock up to 1325 stably. If its an underclocked version, they probably went cheap on the cooler. You may not be able to reach these kids of overclocks. It Sounds to me like its one of them eco edition cards that draw there power from the pcie slot and do not have a power connector from the power supply, If it is then u cant oc it that far cause u are not getting the power the card needs to run at the clocks u want, I think a pcie slot only supply’s about 80 watts. It’s the cooling system of your card. I have the same card but I’m able to keep it below 70 degrees C. Try a better cooling system. I have XFX GTS 250 DDR 3 1GB graphics card .. I mainly work in Dynamics to create VFX for my project and sometime interior and exterior works of building or houses etc… So, while interior or exterior architecture works ,I use Vray rendering output,it takes 1 – 2 hour for rendering a single frame. I shows only 150-250 MB the graphic card usage in GPUZ. How can I increase the graphic card memory for rendering ….And why it use only less memory for rendering ? Pls i need help …. An extra 200 points isn’t a big deal. Benchmark points don’t matter anyways. I went through the tutorial and was able to overclock as much as the tutorial. I have a PNY Xlr8 GTS 250. It only gave 1 or 2 extra FPS. It’s not worth overclocking. Especially since this card gets decent FPS in most games out of the box. That card couldn’t go up that high unless voltage tweaked. Anyone without a MSI card couldn’t hope to achieve this unless they modded for a higher intake of power; Otherwise, nice OC tut for those with a MSI card. Would recommend ATi tool as a much better method of testing for artifacts compared to Furmark (use Furmark to test max. temps only). 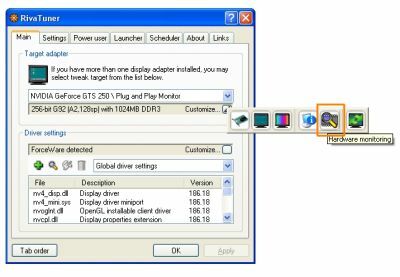 after overclocking my gts 250 my windows hangs …..
once i overclocked correctly my gts 250 with this method i rebooted my system and hangs in windows …..
how to cancel overclock ?? i tried safe mode but my gpu didn’t identified in safe mode …..
Hello guys i have an asus engts 250 di and i have reached 808 gpu clock 2017 shader clock and 1100 memmory with the stock cooler. now i have purchashed an other vga cooler and reached 910 gpu 2257 shader and left memory the same. i dont know why u guys cant overclock but it works fine with me. also max temp i reached was 71 degrees celcius.